Happy New Year! I hope you had a wonderful Christmas and that your new year has started well. I have to say I have enjoyed the laziest Christmas I have had in ages....I celebrated with Joe, my friends and family...watched lots of Christmas movies, ate and drank far too much and generally had a rest! It was wonderful! Now, I'm back with a lovely new challenge for you from Sweet Stampin....to start the new year off we have a "something new" challenge for you. Your project can feature anything new...whether that be a new home, a new baby or maybe like me some new stash! I love sending letters and cards and so after Christmas love to make thank you cards for the gifts I have received. 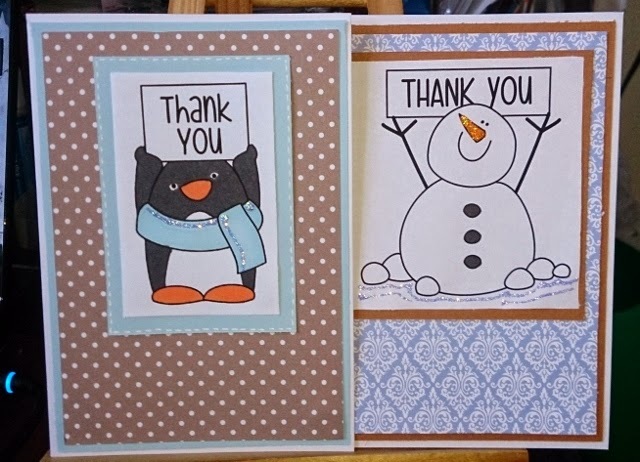 While looking in the Digi Stamp Boutique online store I came across a lovely collection of thank you images that I thought were perfect for my thank you cards. 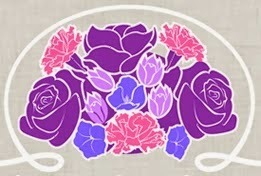 As well as the new stamps I have also used new papers to create my cards. The images have been coloured with my Promarkers and I have of course added a little bit of sparkle with my Stickles. Such super cute thank you cards, sounds like you had a great Christmas, Happy New Year sweetie. Adorable cards - uber cute images. Happy New Year - hope 2015 is a good one for you. Fabby cards and such cute images. I need to do that more... send thank you cards, especially after Christmas.